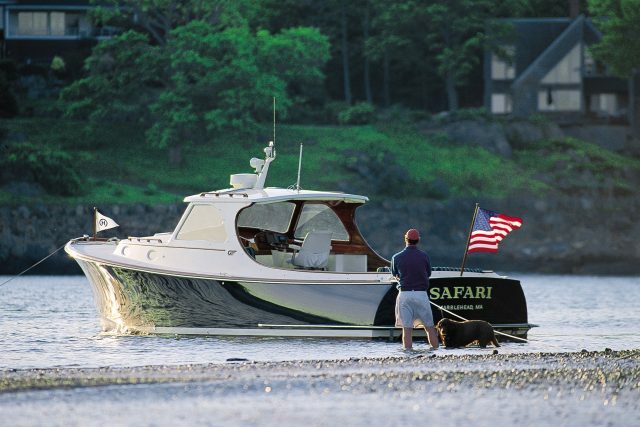 The Hinckley Company started in 1928 as the Manset Boatyard in Southwest Harbor, Maine. Henry R. Hinckley’s focus was on servicing the local lobster boats as well as the yachts of summer residents on Mt. Desert Island. 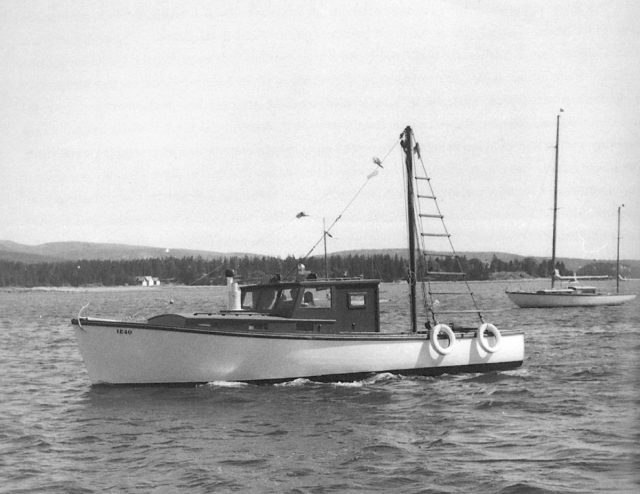 In 1933 Henry built his first boat, Ruthyeolyn, a 36-foot fisherman with beautiful lines that are surprisingly familiar and still look the part even today. That first boat was fished hard for 9 months of the year and then varnished up and chartered in the summer months to vacationers. From the very beginning, the yachts from the Hinckley yard were kept to the highest standards. Henry was not satisfied with many off-the-shelf parts and soon the yachts from Hinckley came to feature custom designed and fabricated hardware such as stanchions, chocks, pulpits and masts. This attention to detail made these yachts distinctive and, in time, they would earn the collective admiration of sailors and yachtsmen around the world. There was something in the way they moved through the water — stately, proud and elegant — or swung on their pennants in the harbor at dusk. People who knew boats could instantly spot a Hinckley; those who didn’t were simply able to appreciate the graceful lines and the glistening brightwork. 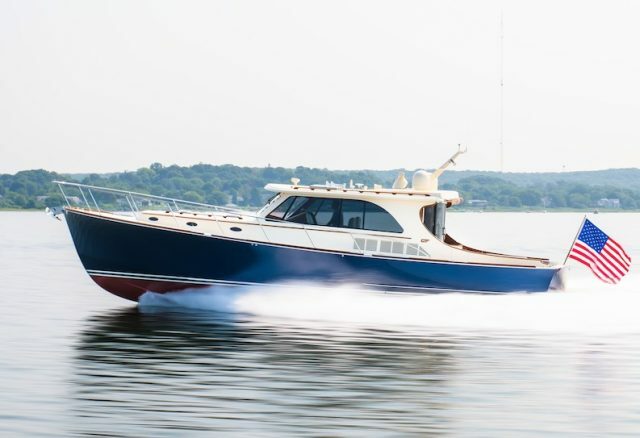 The lines of a Hinckley were a direct result of their need to endure the rigors of life among the rocky coves and jutting promontories of Maine’s Acadian coast. Then as now, frivolous design had no place on such unforgiving waters. A specific form was borne of these nautical circumstances, characterized by a strong, well-found hull, sweeping deck lines to quickly shed foaming waters, with overhanging bows and fine counters to lend stability in angry seas. Their speed and stamina were a direct result of Henry’s training and his background studying aeronautical and mechanical engineering at Cornell. Henry insisted on making his boats light yet strong and was never afraid to innovate. In the 1950s, for instance, Hinckley was one of the first to forego traditional oak frames and planking in favor of fiberglass — according to the pundits, completely unsuited to the construction of a “proper” yacht. But Hinckley saw in fiberglass what the traditionalists had missed — an opportunity to save weight while adding strength. And without sacrificing the aesthetic beauty for which Hinckleys were known. This same thinking led to the use of carbon and Kevlar from bow to stern in our Picnic Boats and Motor Yachts 25 years ago. Today, Hinckley remains the only builder using Carbon and Kevlar composite from bow to stern vacuum-infused with epoxy for incredible strength. We believe so strongly in this approach that we are unique in guaranteeing our hulls and decks for life*. Nothing looks like a Hinckley and nothing handles like a Hinckley. Our yachts are powered by Hamilton water jets for a reason. Jet propulsion provides unrivaled precision in handling with just the slightest touch. Our research and development continues to drive innovation. JetStick 3 now brings military grade GPS hardware and digital processing to a completely redesigned driving experience. Innovations found only on a Hinckley such as Heading Hold and Dynamic Steering allow the boat to understand your intended course and let you carve turns with ease. When its time to pause to enjoy the sunset, pivoting buckets and constant water flow through the jets ensure a smooth geostationary hold for hours without shifting your transmission in and out of gear. As in years past, there are experiences on the water and a confidience at the helm that can be found only on a Hinckley.